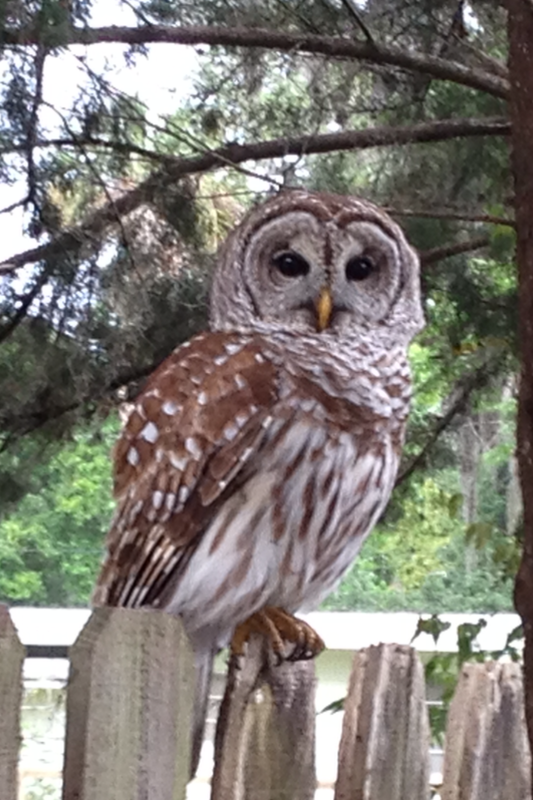 We have owls that live in our community. 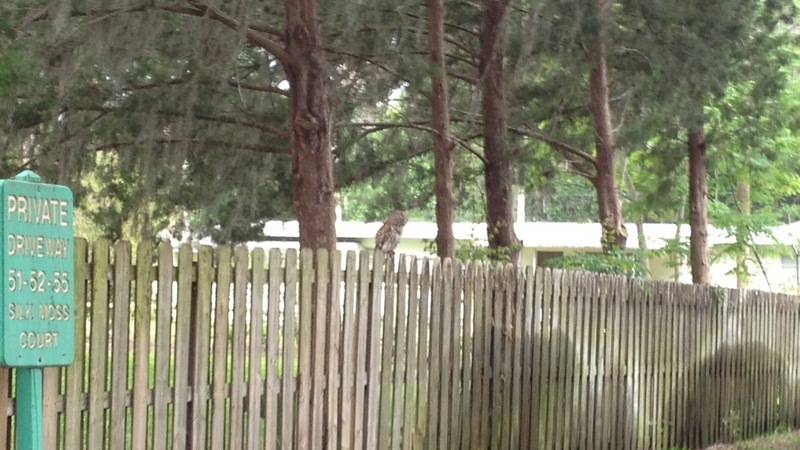 Many times my husband will point one out to me in the tree in front of our house and I will have no clue where it is. I just cannot see it!! Sometimes my relationship with God can be like that…He’s there, but I just don’t see Him. 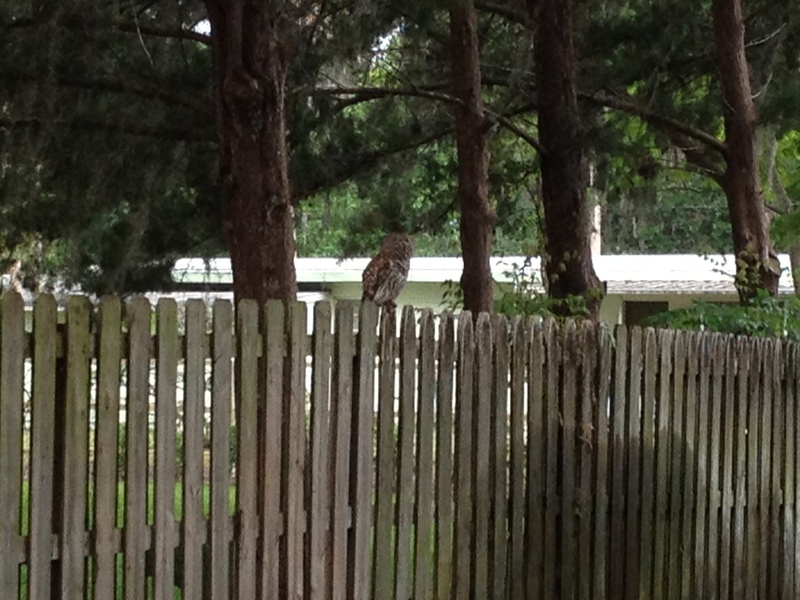 Today my husband pointed out an owl on the fence across the street. At first I did not see it. 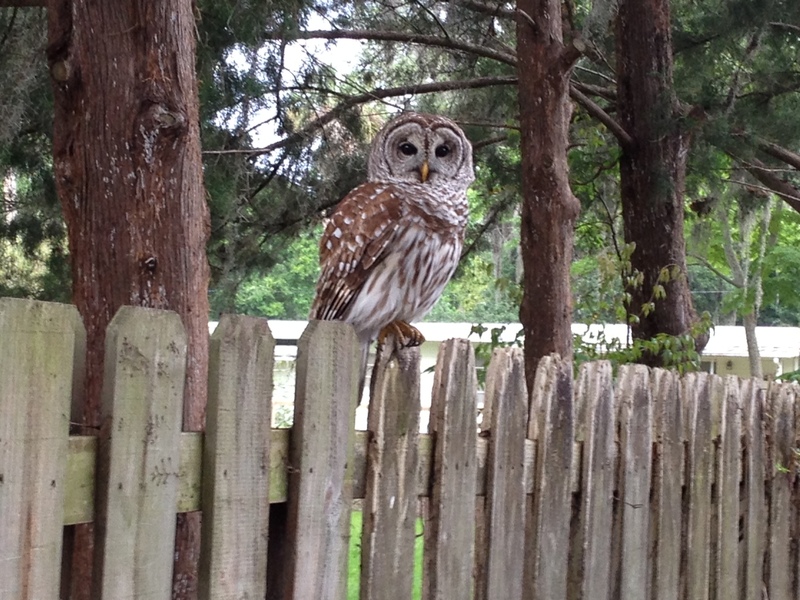 And then as I walked closer he came into focus. I quietly walked toward him and stood still. And then I was blessed to see him face to face. I believe that is the way I need to be with God…standing still, quietly walking in His direction…and if I do this, I will see Him. I will see His Plan. I will be aware of His presence. I know God has a new and special plan for me…I am not sure what it is, but I believe He is beginning to reveal His plan. I CAN”T WAIT TO SEE WHAT IT IS!!! Women’s Bible Study – Good Stuff! Thanks, Susan! I find myself anxiously awaiting your blog. What you say and how you say it is so real and truly touches me. You have a calling, and I feel blessed that our paths have crossed. I am so grateful the ways your words enable me to better know, understand, and wait on God. Blessings to you Dear One! Patty, I am humbled by your words. It is all God. I will sit and ask God for direction and then the words and thoughts come.